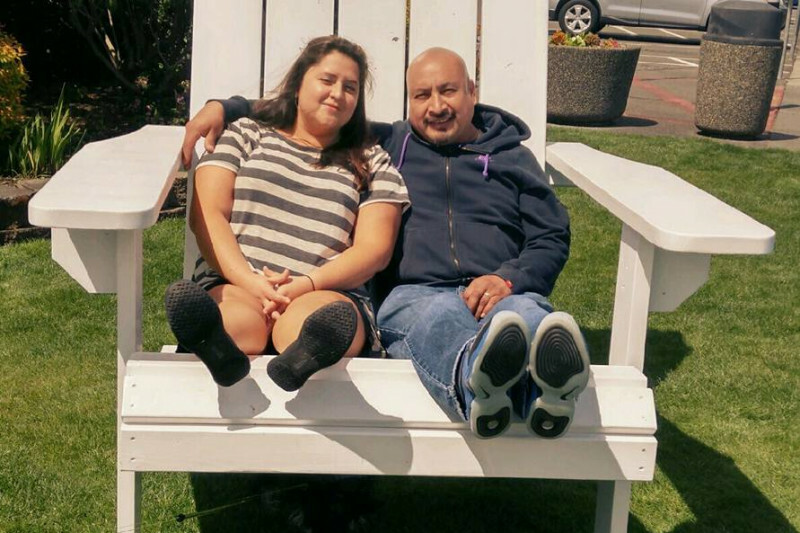 Our goal is to raise money for Courtenay to continue to search for her husband Jose. He went missing while they were camping at their favorite campground where they got married almost 4 years ago. Courtenay, her family, Jose's family, along with friends and volunteers have been searching countless miles since he went missing late Thursday night. This is in addition to the authorities searching the lake and surrounding area. Donations will aid in the search and help alleviate the families with any costs related to helping find Jose. We are also researching the possibility of hiring a private diver. If anyone has any suggestions or resources about a private diver or how to help aid with the search in Whatcom County please message us. We will be posting updates as we learn more. LAST SEEN AT HORSESHOE COVE CAMPGROUND BAKER LAKE WA THURSDAY JUNE 15TH 11:20 PM WEARING A YELLOW COLUMBIA JACKET, BLUE JEAN SHORTS AND MESH WATER SHOES. It is with great sadness I give you all a final update about our dear friend Jose David. Jose’s body was found in Baker Lake yesterday, Thursday, June 29th. The autopsy reported that he died of drowning. As you all know, this has been a very difficult 2 weeks for the family since he disappeared on Thursday, June 15th. We appreciate all the love from family and friends. At this point all donations raised are going towards transporting Jose’s body to his homeland of Mexico so he can have a proper burial with his family. In addition to the costs incurred from the search (loss of wages, renting equipment, etc) over the last 2 weeks the family is now faced with the transportation costs. The transportation costs alone add up to a figure of $10,000. As we sadly get to closure on this terrible tragedy we have a final and urgent need for family and friends to help in any way you can. NO AMOUNT IS TOO SMALL. If all our Facebook friends gave $1.00 we will meet our goal. PLEASE do not think any amount is too small. Jose was a loved husband, brother, son, uncle and friend. Prayers and love are appreciated immensely. Please share this post with anyone who might be able to help. I wish there was more to report other than Jose is still missing and our search continues. Please help us by notifying any family or friends to be on the look out that are heading north for the weekend. Sharing our posts are also of great help. Any news/media outlets or contacts are also of help to us to get the word out. Courtenay and family are very grateful to all of you for contributing in a multitude of ways. Calling anyone and everyone! Courtenay and family are arranging a major search tomorrow, Wednesday, June 21st at 11:00 meeting at the Horseshoe Cove boat launch. She may not have reception so just plan to be there and meet then. Please share with anyone who you know in the area as well as they need as many volunteers as possible. Her campsite is #36 and Deputy Mark Jill is the authority. Please show your support and help her find her husband. Thank you all!! There has been no sign of Jose yet. A boat has been rented with Sonar which will be searching all day today. We are looking at also getting divers down in the next day as well as the weather clears. Thank you for all the support. Your contributions are greatly appreciated and helpful.